Home Technology How to Charge Your Android Smartphone Faster ? How to Charge Your Android Smartphone Faster ? 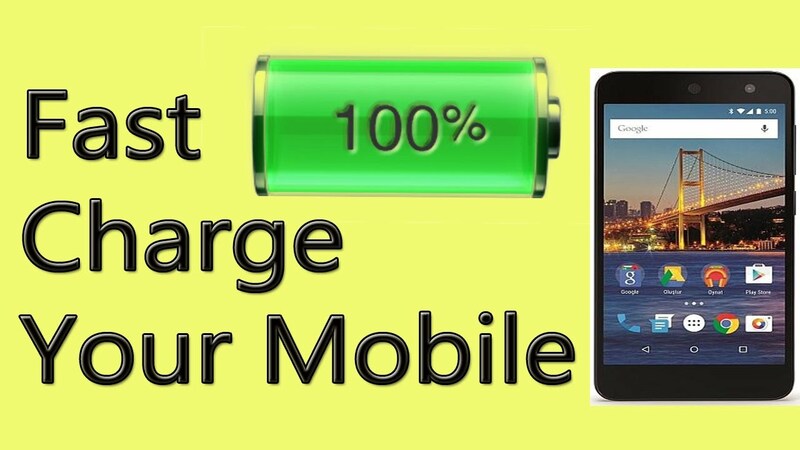 If you want to know about How to Charge your smartphone faster then this is very useful content for you. Modern mobile devices can be quickly discharged. The main consumer is a large screen. After discharge, the battery can be charged, on average, 1.5-3 hours, depending on the device itself. Can I somehow quickly charge the smartphone? Do not beat around the bush - you can only quickly charge the smartphone to 30-50% if your device supports the fast charging function. This is a special technology that some modern processors support. What is the essence? The battery of each device is designed for a certain current and voltage, which come from charging. If you have a quick charge function, the device can take a lot of current and voltage, so that the battery charge speed is greatly increased. However, here there are drawbacks - fast charging can be used only at the initial stage, when the battery is charged up to 30-50%. Further, the voltage and amperage drop, resulting in the remaining 50% of the battery being charged in normal mode. It is made not just so, but in order that the battery does not fail. How Quick is Quick Charge Function in Mobile? If you have a quick charge function, you can charge up to 50% of your smartphone in about half an hour. Some devices are charged up to 30% in 15-20 minutes. Agree, a chic result, especially if you only need to take a few calls. It is expected that in the future all devices will be able to use the function of fast charging, and charge the gadget using this technology will not be up to 50%, and up to 100%. But what should you do for users whose devices do not support fast charging? Alas, it will not be possible to greatly reduce the charging time, although it is worth trying. We will give you some simple tips, which, we hope, will help you reduce the charging time of your mobile device. In some cases, users charge smartphones from an external battery or USB port of the computer, and then complain that the gadget is too long to charge. This is not surprising, because of the technology, the smartphone will be charged as quickly as possible from the network. From the USB port or external battery charging speed can drop several times. If possible, use a branded charger from your smartphone - only in this case, the fastest charging speed is guaranteed. Use chargers from other gadgets is not recommended because of the difference in performance, so that the charge rate may drop. Beware of counterfeit chargers, there are a lot of them on the market, they are inexpensive, but they can spoil your smartphone. The peculiarity of the batteries of mobile devices is such that at low or high temperatures the discharge rate increases, respectively, and it takes longer to charge the battery. For this reason, you need to charge mobile gadgets only at room temperature. The applications that you are running remain in the device's memory, this is the so-called multitasking. Being in memory, applications require energy, albeit a little, thereby quickly discharging the smartphone. Close all applications before charging. Another important detail. The discharge is also significantly affected by the communications that are in use at the moment. To turn them off, you need to turn on flight mode . However, remember that communication will also become inaccessible and no one will be able to reach you. However, you yourself can not call anyone. Should I turn off the smartphone for charging? If you need to speed up the charging time, turn off the smartphone is really worth it, because in the off state, it does not consume energy at all. This really helps to slightly reduce the charging time. Of course, you should use this method only if you do not expect an important call, because you will not be able to receive it.